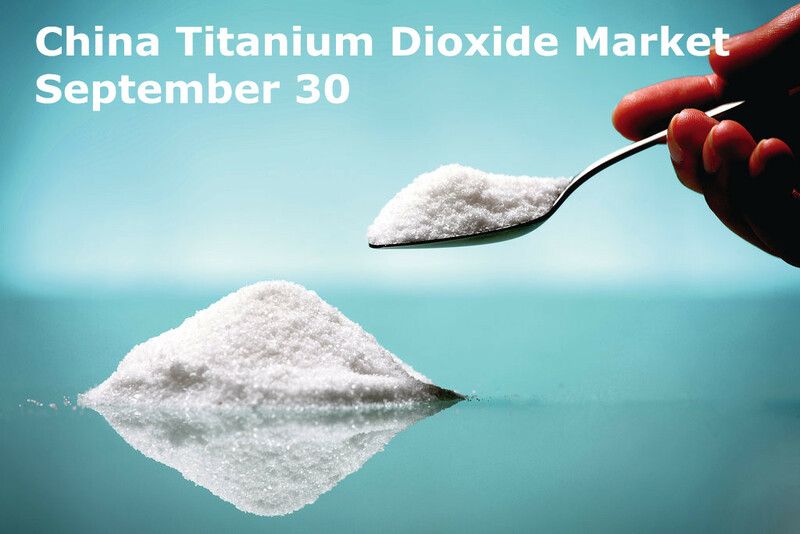 In the end of September, the tenth wave of price rising in China titanium dioxide market was about to end. Only a few producers with tight spot supply were adjusting prices slowly. The main market was stable and most producers were still positively settling down the former achieved initiatives. Till now, the spot supply of titanium dioxide is still tight, especially for those positively export titanium dioxide products to all over the world. Therefore, the prices for these producers are quite firm in price executions. On the other hand, the minor producers that mainly depend on domestic demands execute lower prices; however, their prices also have been raised a little in general. According to sources, domestic titanium dioxide market will remain stable and may be better in the short term. The current prices of titanium dioxide (September 30): Lomon (R-966), CNY13300-14000 ($2040-2147) per metric ton; Main market price (Rutile Tio2), CNY12000-13600 ($1840-2086) per metric ton; First class manufacturers (Rutile Tio2), CNY12800-13600 ($1963-2086) per metric ton; Second class manufacturers (Rutile Tio2), CNY12000-12800 ($1840-1963) per metric ton; Main market price (Anatase Tio2), CNY9000-10000 ($1380-1534) per metric ton. In the European titanium dioxide market, early Q4 titanium dioxide contract prices are firming, on the back of producers’ margin needs, some ongoing supply restrictions and better than expected demand in some cases, although the upward move could be tempered by seasonal and year-end factors and some recent pre-buying activity. European Q4 TiO2 contract price discussions are underway in most cases, although settlements are slow to filter through. Nevertheless, some early Q4 settlements show price rises of €50-100/tonne so far across various sectors. The current contract price of titanium dioxide in the Europe is 1.96-2.25 EUR/kg. In the US titanium dioxide market, TiO2 fourth-quarter prices gains were still being seen as unachievable by most customers, but unseasonably healthy demand for paint and coatings has surprised some sources. So far, most of the major US pigment suppliers have separately announced 7 cents/lb price efforts that would be implemented on or after 1 December this year, if successful. Only one major producer had hot yet announced any Q4 price-hike intentions. The current contract price of titanium dioxide in the US is 1.23-1.30 USD/lb. Asia market prices of titanium dioxide were unchanged in the week, as negotiations for Q4 contract prices remained underway for most market players. Most market players in Asia have yet to finalise Q4 prices, with many still in the early phase of discussions. Most producers were proposing price increases for Q4 contracts of around $150/tonne. However, many were heard to be facing increased buyers resistance to the proposed price hikes. The current market price of titanium dioxide in Asia is $2200-2400/tonne. If you are interested in the precise stats of China titanium dioxide trading activities in September 2016, please follow our Linkedin Page or contact us directly!